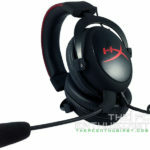 Kingston HyperX Cloud Gaming Headset Review - Best Gaming Headset? 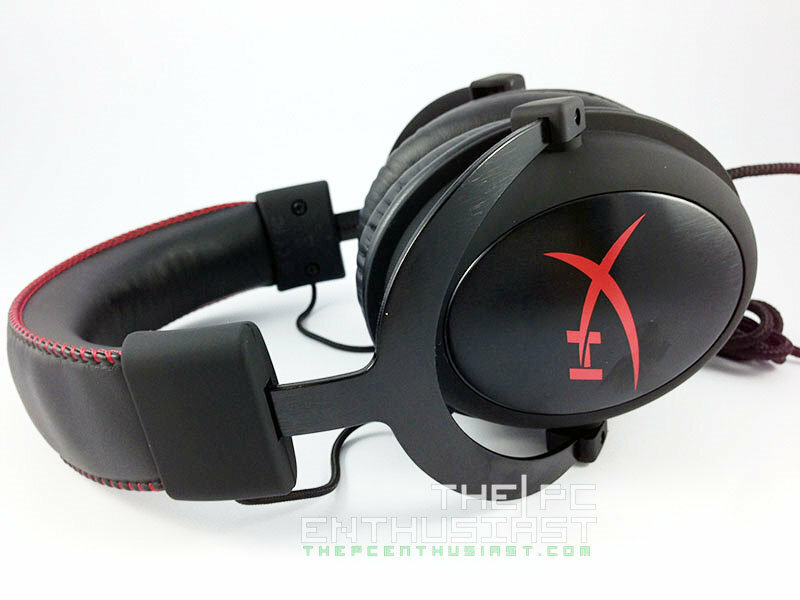 Kingston HyperX Cloud Gaming Headset Review – Best Gaming Headset? When you hear the word or brand Kingston, what comes usually into your mind? A Memory, SSD, USB drive or flash card? But you would never thought a gaming headset right? Well, Kingston released their first ever gaming headset under the brand HyperX – the Kingston HyperX Cloud Gaming Headset. Initially, I never thought that it would perform great. Well who would? Kingston doesn’t specialize in the Audio department, and considering that this is their second gaming headset you might think that it might have a mediocre or “so-so” quality. When I first tried the HyperX Cloud, I was actually surprised that it doesn’t sound bad at all. Surprisingly, it was better. 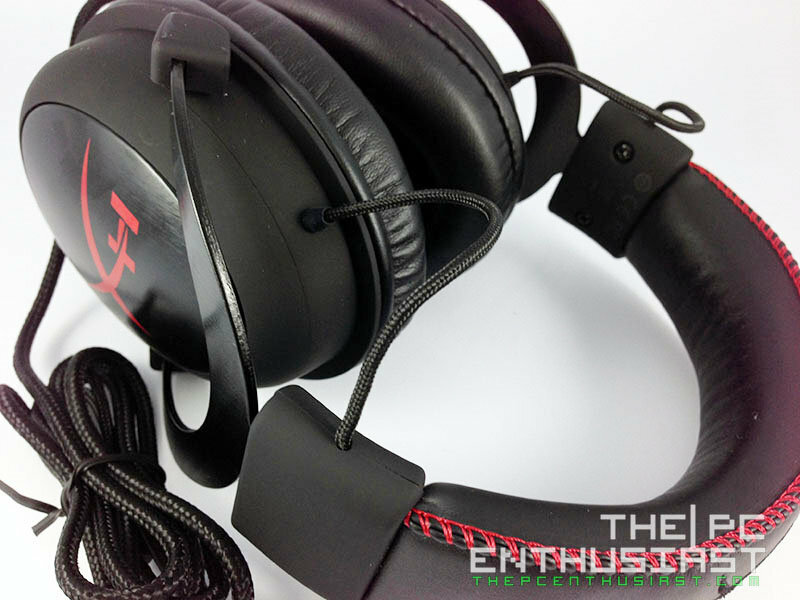 If you are a gamer and is planning to buy a gaming headset, now or later, you might want to check out Kingston’s gaming headset first, and get to know more about it in my HyperX Cloud review below. 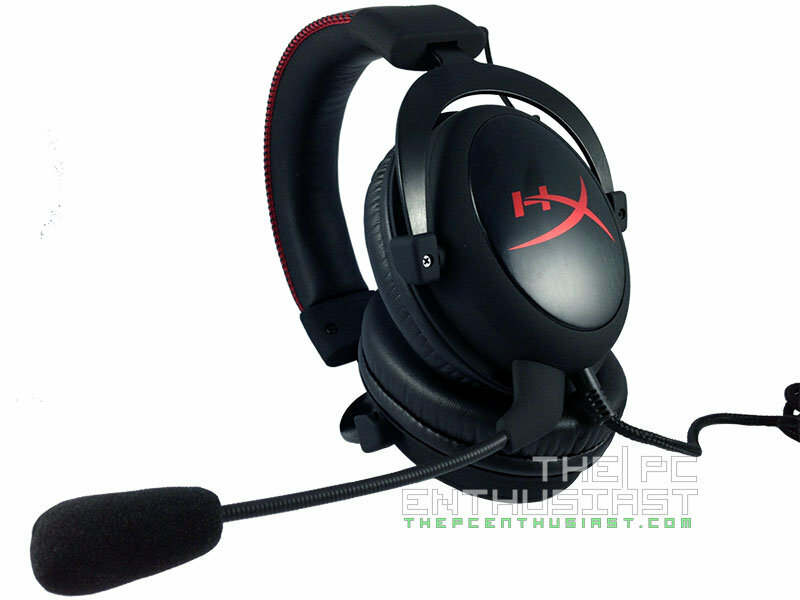 The Kingston HyperX Cloud Gaming Headset is an over-ear headset which uses a HiFi-capable 53mm drivers. 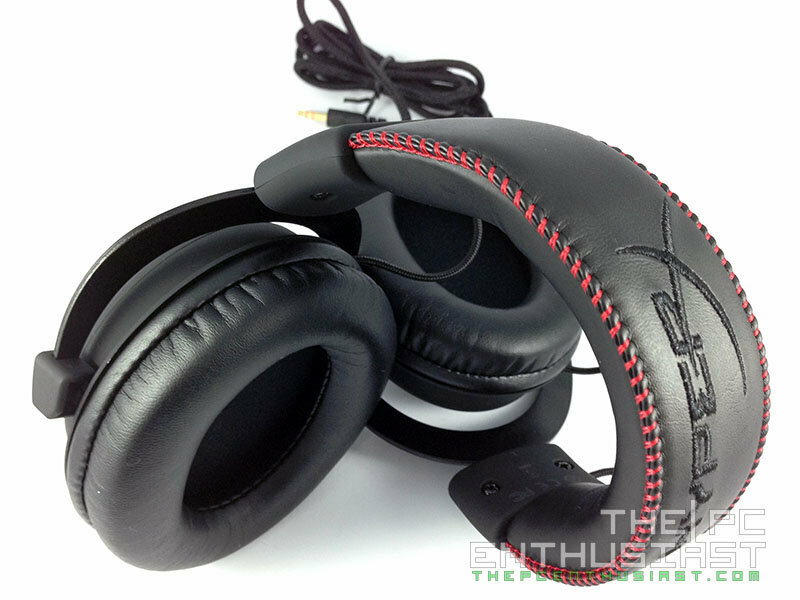 It has a frequency response of 15-25,000Hz and has a closed-cup design for enhanced passive noise cancellation. Its body is made of solid aluminum and comes with a detachable microphone. 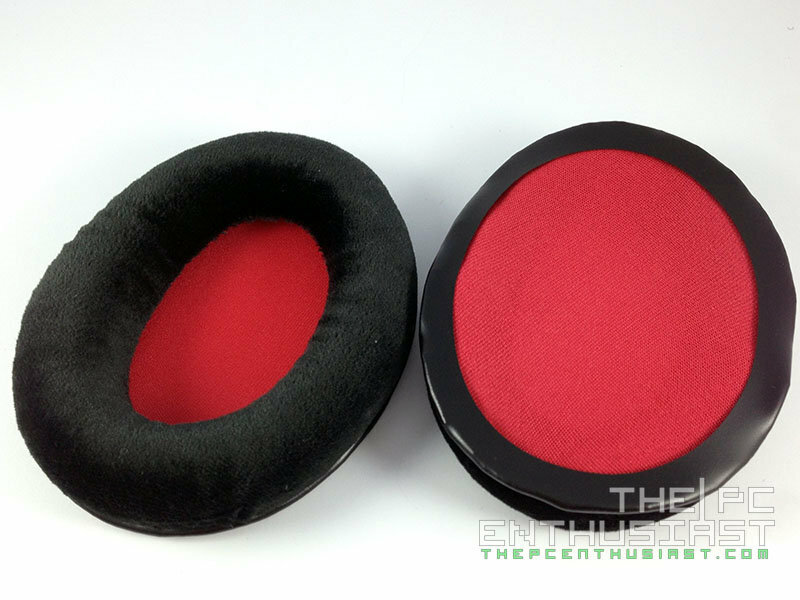 Its ear cups are interchangeable, you can choose from either the leather or the velour cups. Kingston used memory foam for the headband and the leather cups for better comfort. Since Kingston does not specialize in the Audio department, “how did they come up with such a product”, you might ask. 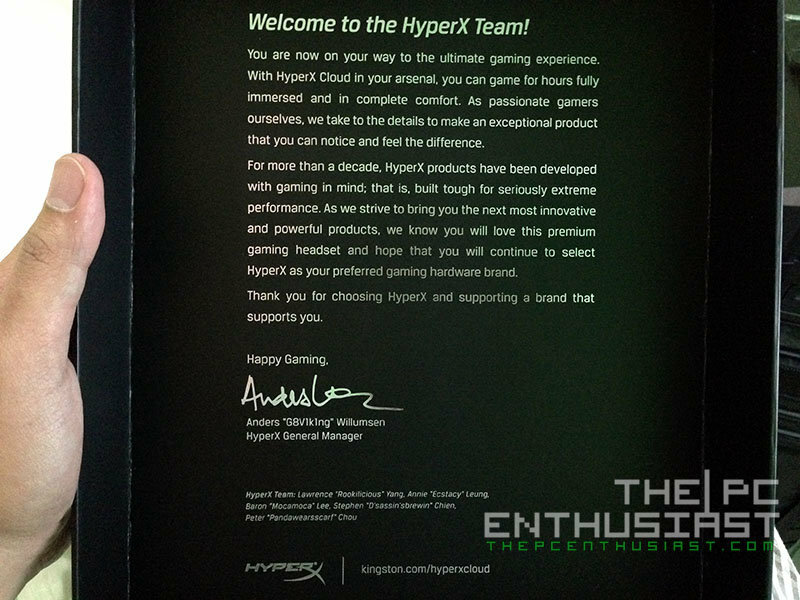 Kingston didn’t produced or manufactured the HyperX Cloud alone. 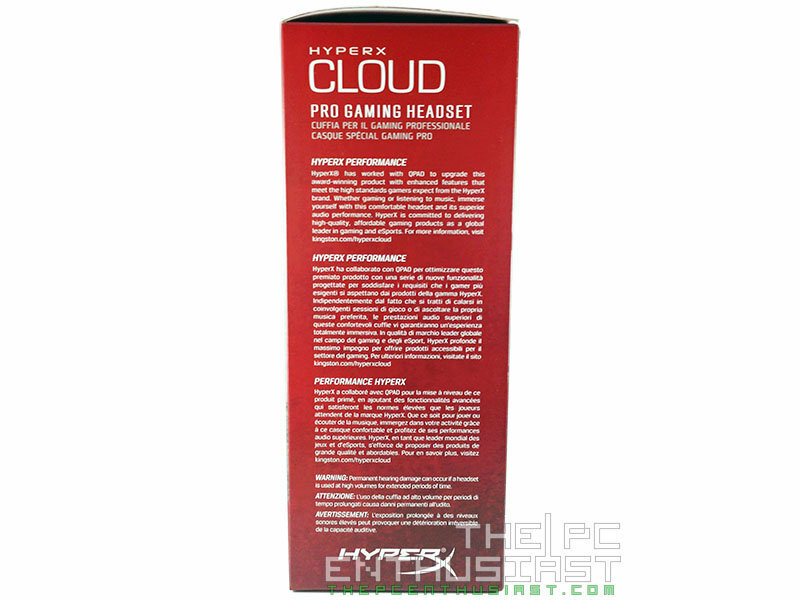 The company worked together with Qpad to produce the HyperX Cloud. It’s basically a rebrand the Qpad QH-90, which is basically a Takstar Pro80 headphone, without the microphone. 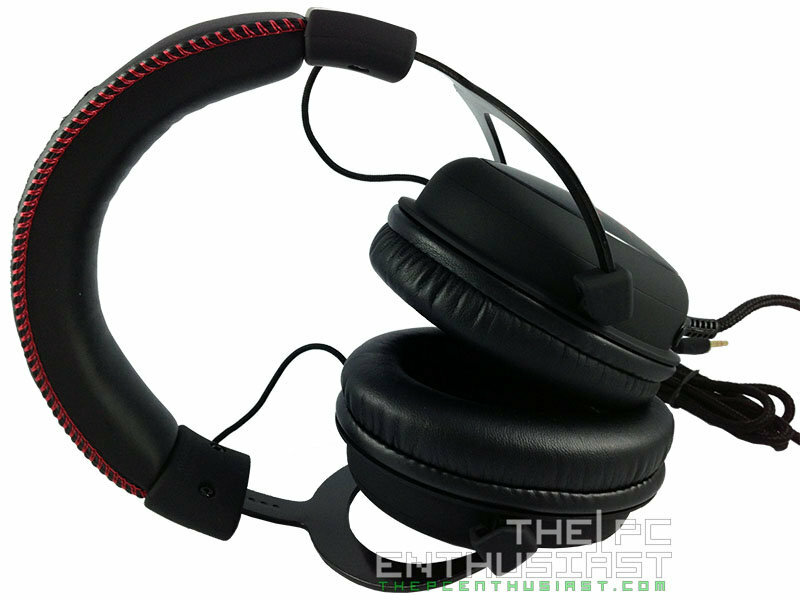 The headset itself was designed in Sweden and the company have changed some of its original internal specifications to improve it further, ensuring that every gamer would be very much satisfied while using it. The HyperX Cloud gaming headset doesn’t have any fancy features. 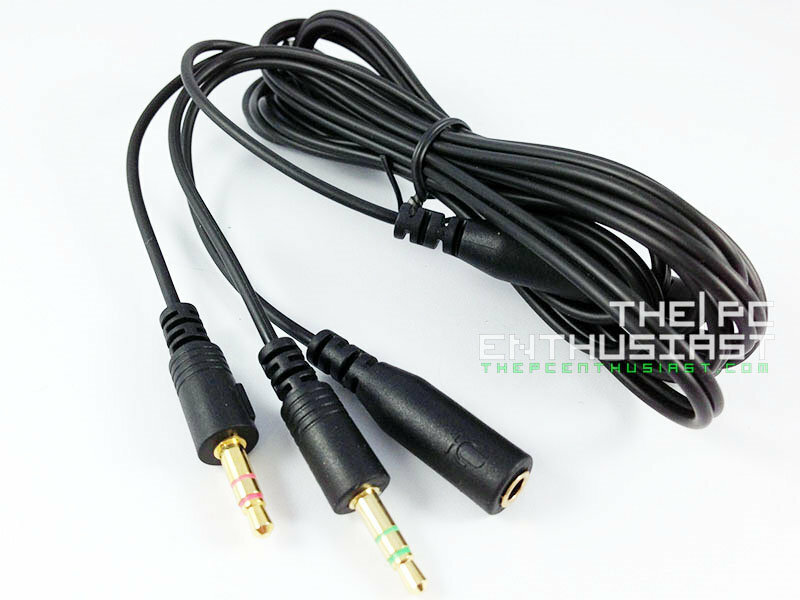 You simply plug it into your computer’s audio port, or your console’s audio port and you play. This gaming headset is all about comfort and performance at an affordable price. Let’s check out the rest of its specifications and take a closer look at the product below. 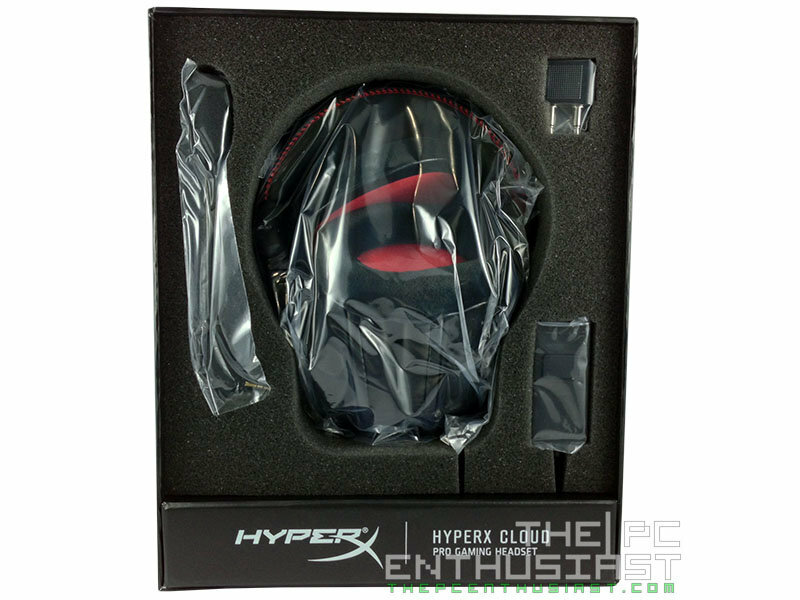 The Kingston HyperX Cloud Gaming headset comes in a very nice box. You see a picture of the headset in front and in the rear portion of the box. Its highlighted features are detailed on the three sides of its box. While on the right side of the box, you see a brief introduction about the product in different languages. Inside the box you get another box. Underneath the cover of that black box is a message from Anders “G8V1K1ng” Willumsen, the HyperX General Manager. 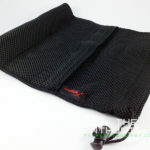 The headset itself, including its other parts and accessories are well secured in a large thick padding. 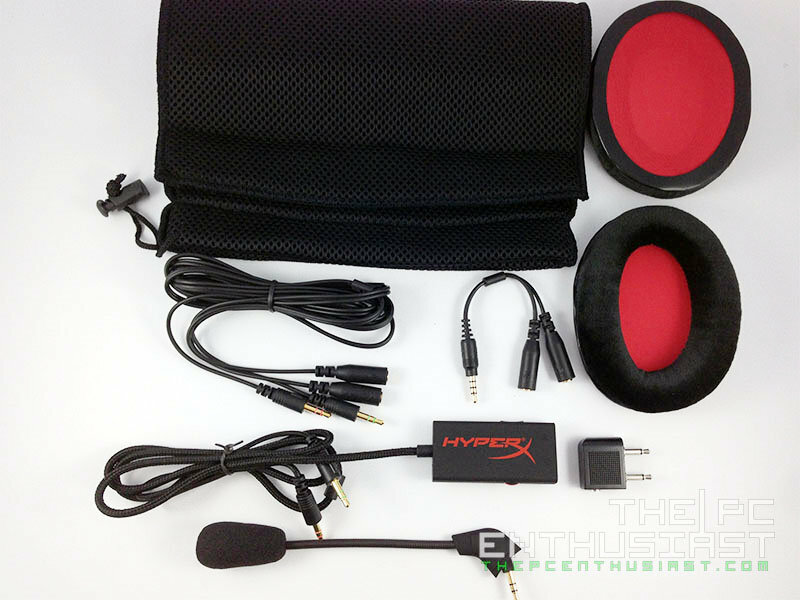 Inside the box you get the HyperX Cloud itself, a detachable microphone, microphone plug, control box with 3.5mm audio jacks (100cm length), 200cm extension cable, a 10cm headset splitter, an airplane headphone adapter and a mesh bag. Below is a closer look at the individual items. 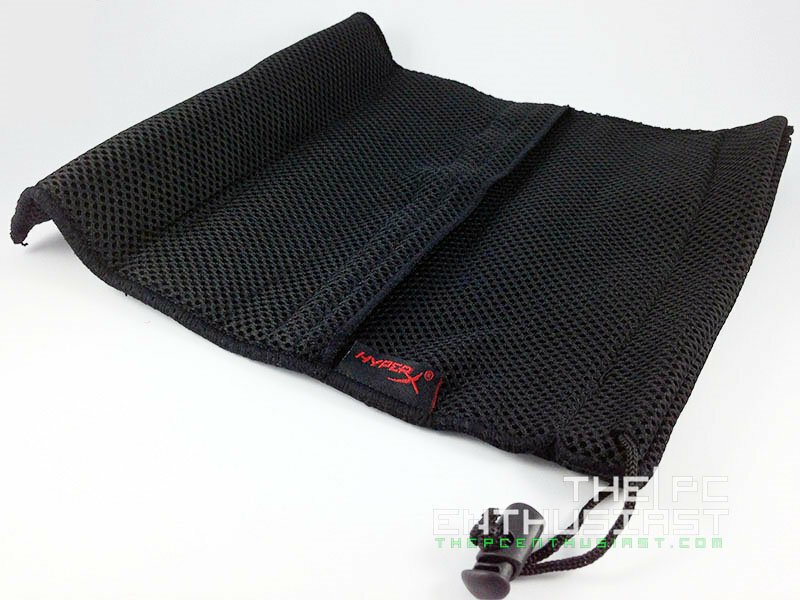 The Kingston HyperX Cloud features memory foam for better comfort. 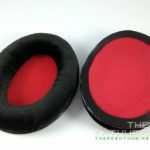 The headband has memory foam, and the already attached leather cups are also made up of memory foam. You can see the red HyperX logo on both sides of the headsets. The oval area where the logo is imprinted is aluminum, while its outer area has a smooth rubberized finish. A Red stitch design can be obviously seen from its headband. 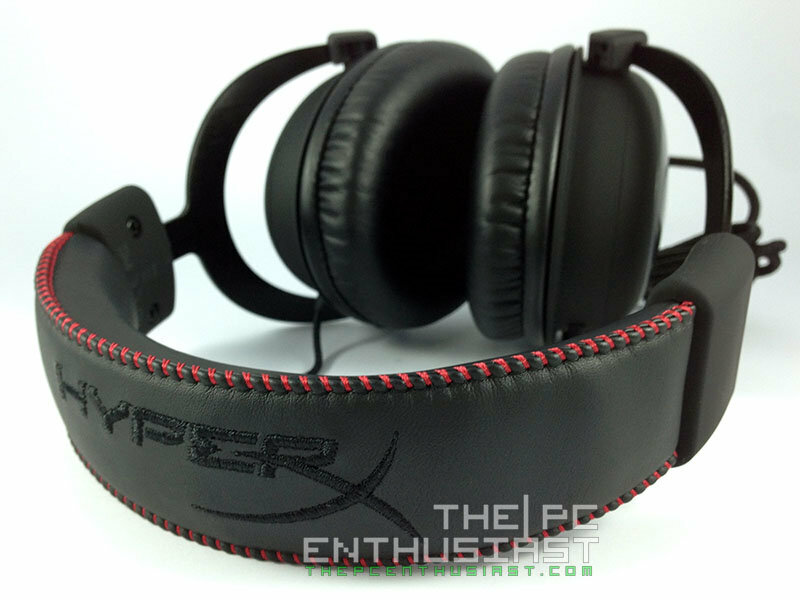 The HyperX logo is also embroidered on the top center portion of the headband. The frame is made of solid aluminum, very sturdy but flexible. 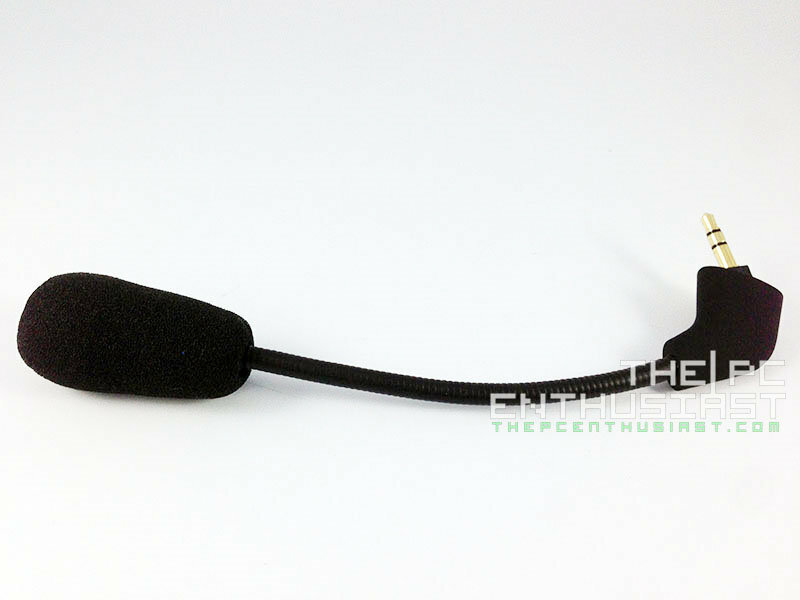 The microphone can be attached to a hidden plug in the right side of the headset. As you can see, all cords or cables in the HyperX Cloud are braided; even the detachable microphone feels that it is braided as well, although it’s not really braided. 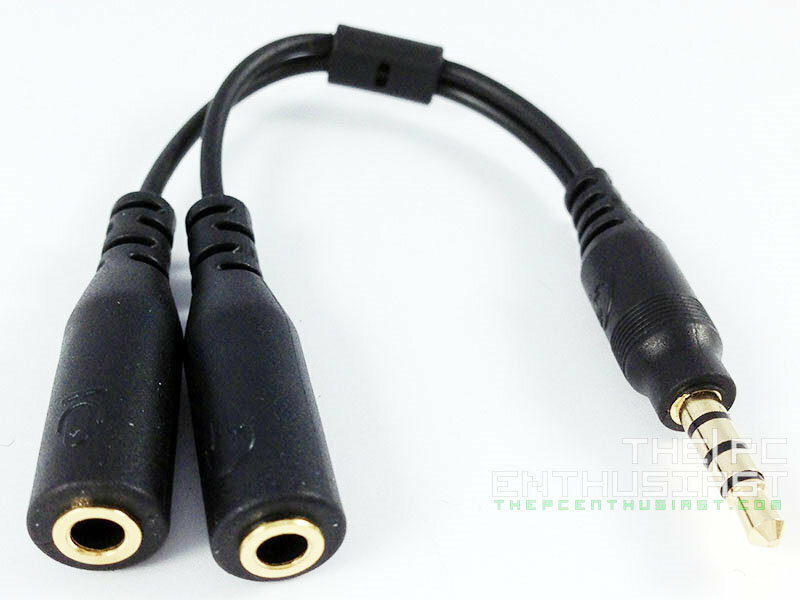 The cables connecting the right and left speakers extend on the rear portion of the headset. 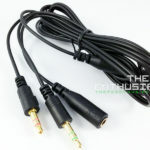 Some might find this annoying, but it actually ads to the versatility and helps prevent the cables from getting damaged easily. 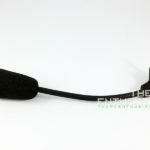 The detachable microphone is flexible and can be bent to suite your preference. I would suggest that you position the microphone somewhat close to your mouth. Not to close, and not to far as well. Like I said, the aluminum frame is very flexible and sturdy. The headband doesn’t apply to much pressure on your head. But if you are new to headsets and you have a big head, you might need to stretch the headband first, or place it on a ball or something that has the same width as your head for a few hours. This helps the headband to loosen up a little bit so that you won’t feel that pressure on your head. In testing the Kingston HyperX Cloud Gaming Headset, I am using my gaming rig with an Asus Maximus VI Impact. Please note that the Impact comes with a Supreme FX audio card with Headphone DAC. 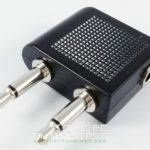 This helps produce better audio quality and louder volume as well. I haven’t tried it on a regular motherboard since I don’t have one anymore. The other motherboard that I have here is the Gigabyte Z97X Gaming GT that also comes with a built-in audio processor. However, I did try the HyperX Cloud with an iPhone 5. 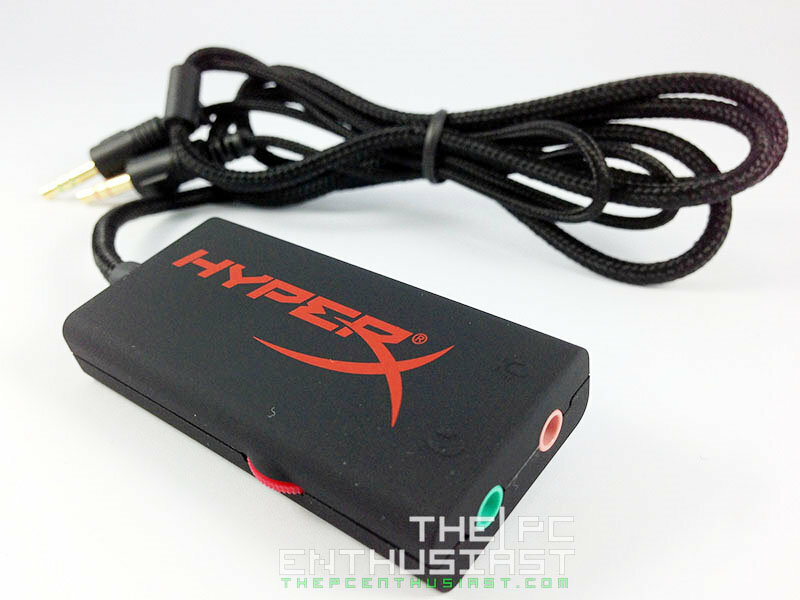 You don’t need an amplifier or DAC to use the HyperX Cloud. You simply need to plug it in a 3.5mm audio jack and that’s it, you’re good to go. Each and every one of us has a different ear. Not all of us hear the same thing, and audio quality can be a matter of personal preference. But I can tell if a certain headphone, headset or earphone is good or not. Some of us have higher standards; perhaps maybe you were spoiled by audiophile-grade headphones. 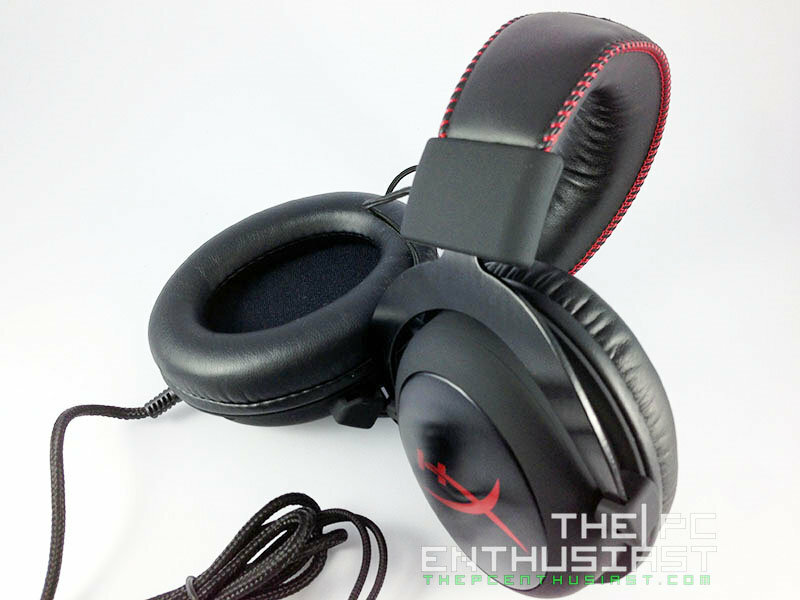 First of all, the HyperX Cloud is not an audiophile-grade headset. Don’t expect that it will have a fantastic audio quality like the Audio Technica ATH M50X. 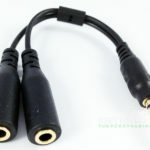 But for a gaming headset, it does have a good audio quality. I tried listening to several music tracks in different genre; from rock, classical, instrumental, R&B, dub-step, and etc. Surprisingly, it produced a very clean and well-balanced sound. The mids and highs are present, and the bass comes with quite a punch, but not as much compared to other headphones with super bass. The HyperX Cloud generally didn’t fail me when listening to my favorite music. After listening to several tracks, I tried to watch some movies with it next. First I played several sci-fi movies like the Transformers. Honestly, I heard some sounds or audio effects that I didn’t heard before with my Altec Lansing speakers. The intro sound from the Transformers movie (during the Paramount intro) and the voice of Optimus Prime was so good to hear with the HyperX Cloud, I ended up watching the entire 3 movies again. The experience was so immersive for me that sometimes it gives me that tingling sensation at the back of my head on some scenes. During gaming sessions, it was a good experience as well. The sound of the blast and the gun fire was realistic and clear. The sound of the clashing swords is clear and other special audio effects are produced very nice as well. 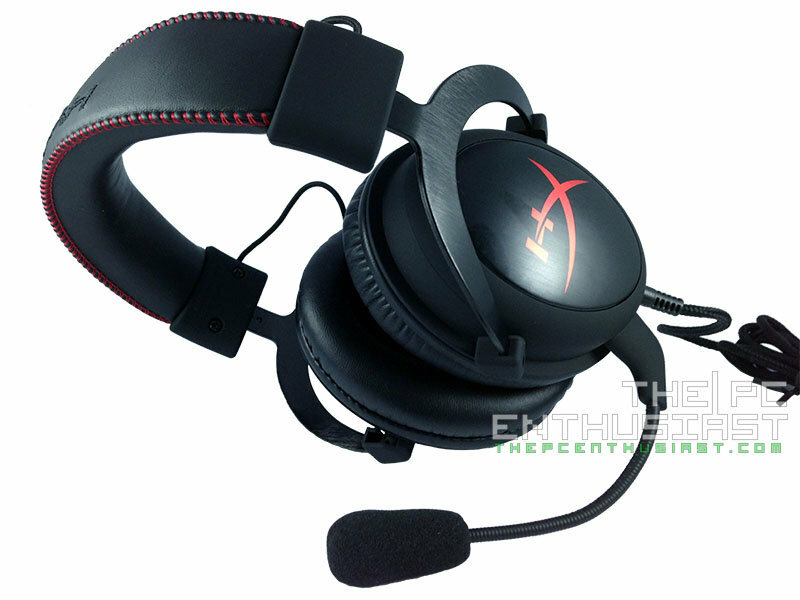 However, the Kingston HyperX Cloud is not a surround gaming headset. 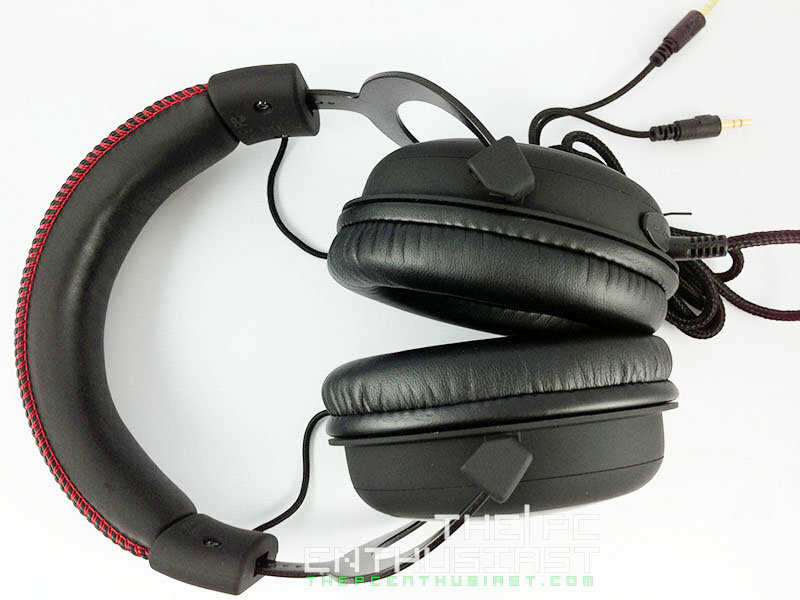 If you are into FPS games, like Battlefield 4 and the likes, and you depend on your surround gaming headset to identify the exact location or position of your enemy, you might be a little bit disappointed with the HyperX Cloud, if not totally. It’s not a surround gaming headset, so you will only hear the footsteps of your enemy either on the right or left or both speakers. But you can distinguish a soft footstep (probably the enemy is far) from a loud foot step (most probably the enemy is near you with a knife). The performance of the microphone is good as well. Quality is good and clean but it doesn’t have a good background noise cancelling or isolation features. I think Kingston has to better its microphone since I could hear some noise coming from the background, but not too much. Like I said earlier, the microphone can be adjusted and it is advisable to place it near your mouth but not to close, otherwise it might produce a harsh loud sound to the listener(s); too far and your listener(s) might not hear you properly. 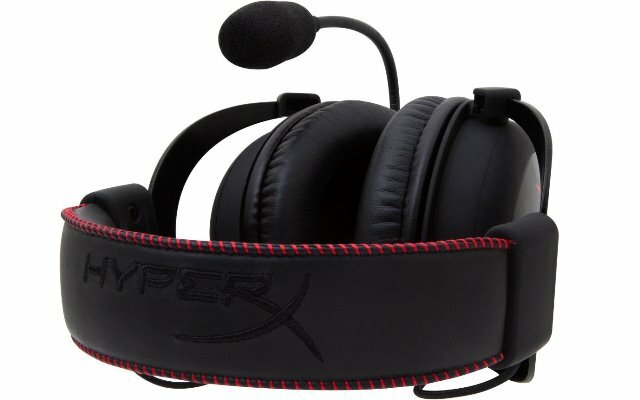 The Kingston HyperX Cloud Gaming Headset is now widely available and has a current retail price (as of today) of $79.99 here. 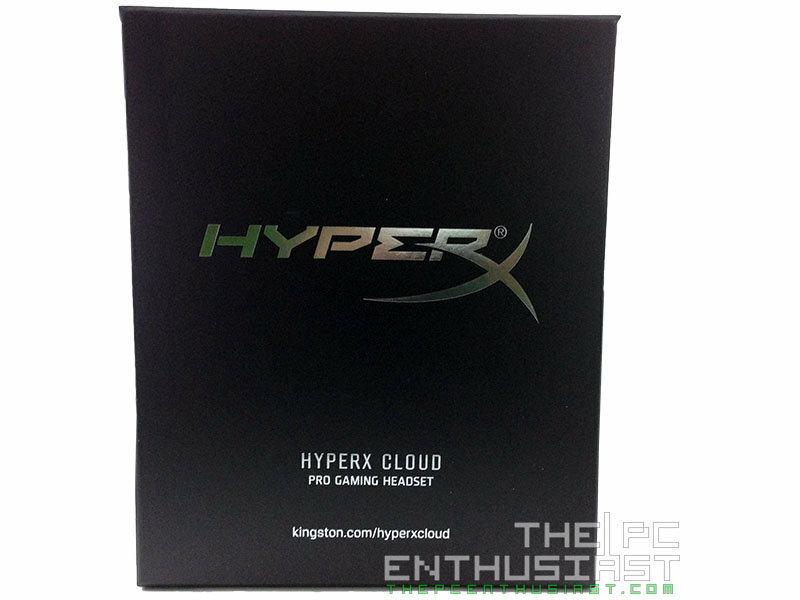 Kingston is offering a 2 year warranty for the HyperX Cloud with free technical support. You might find the price a little bit higher compared to other gaming headset, but I’m pretty sure the audio quality won’t be as good as this one. Well if it did, other features might not be present with some cheaper competition. Believe it or not, this product has been rated 5 out of 5 stars by satisfied customers who bought it. For US visitors it’s available here, for UK get one here for £50.99, and for Canada it’s available here for CDN$ 124.96. I have tried several gaming headsets before. Some of them even have a 5.1 channel “surround sound” feature. 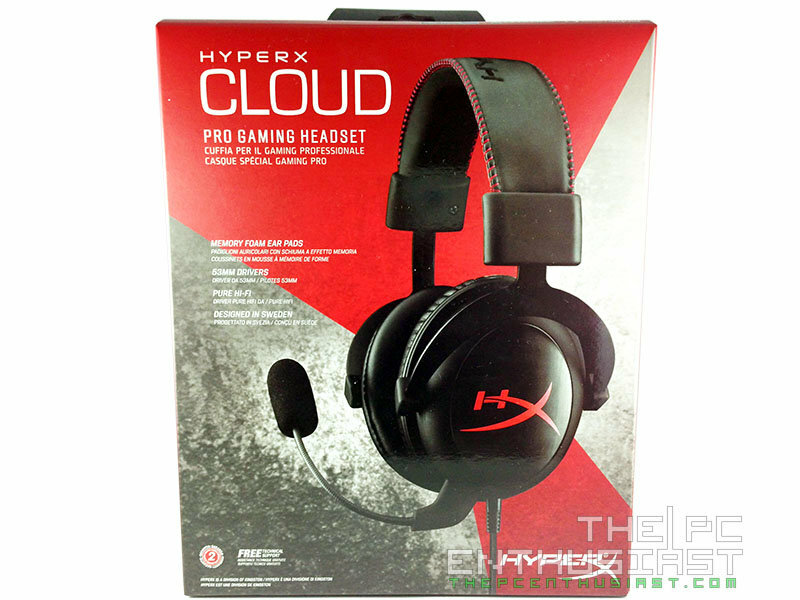 But the audio quality that their headsets produced didn’t come close with the HyperX Cloud. 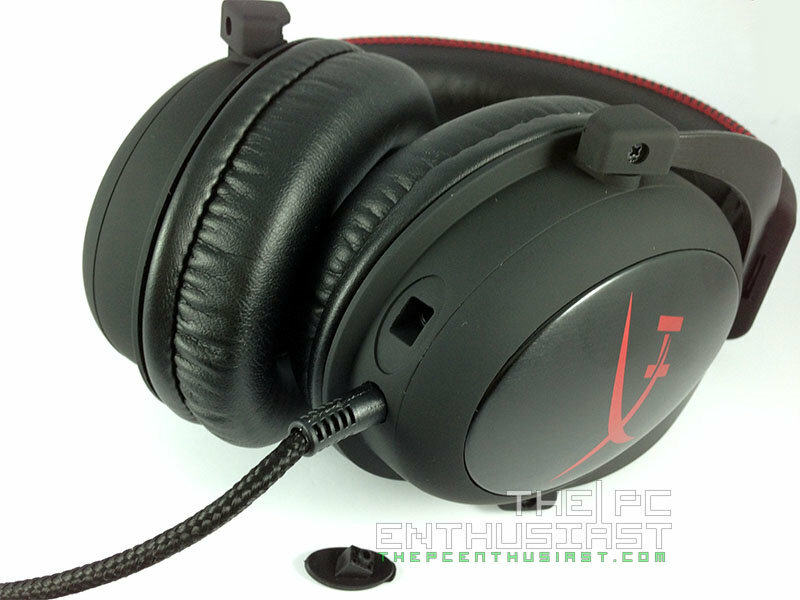 Well some did sound similar to the HyperX Cloud, but they were priced higher. For music lovers, I wouldn’t say that it’s similar to an audiophile-grade headphone. It’s not, but it’s not bad either for listening to music or watching movies. Its bass is strong and deep, but bass lovers might find it not strong enough. In terms of comfort, Kingston did a great job in this department. The memory foam helps a lot and you can actually use the HyperX Cloud in long gaming sessions. You have the option to use either the leather cups or velour. It’s really a matter of personal preference, either way it’s still comfortable. 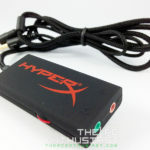 Kingston also included a lot of peripherals or accessories that comes with the HyperX Cloud. Plus, there is a mesh bag so that you can tuck the headset in together with the accessories you need, and bring it anywhere you go. You can use it directly with smartphones or any audio device as well. The Kingston HyperX Cloud gaming headset has a simple design. But it is made out of highly durable, flexible and high quality materials. You can expect that this won’t break easily. I couldn’t find a thing about this headset that I would not like. Kingston has been producing high quality and reliable memory and storage drives for many years. And this legacy continues with their first gaming headset. 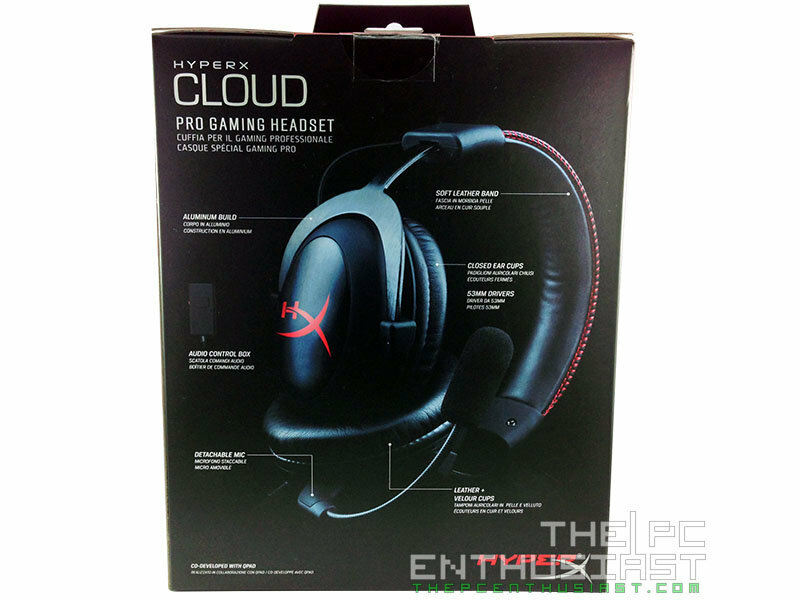 If you are looking for the best gaming headset out there, I seriously recommend that you consider the HyperX Cloud. 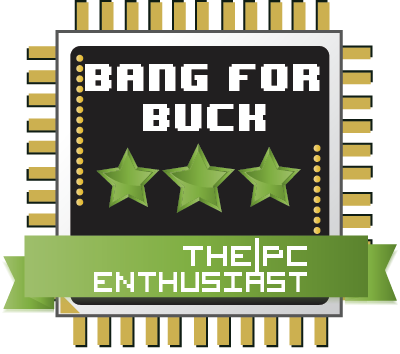 A fine product like this surely deserves both The PC Enthusiast’s Editor’s Choice Award and Bung for Buck Award. Hi Aria68, may I know what’s your budget range for your headset? I don’t have much experience with surround headsets and most of them are really marketing gimmicks only. 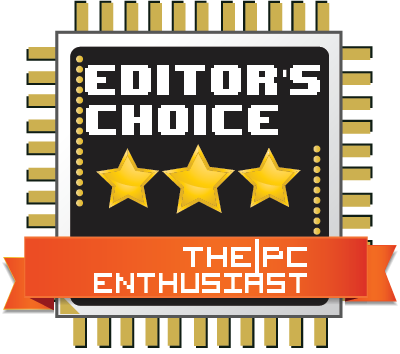 I heard lots of good feedbacks about the Kraken 7.1, also Plantronics and Logitech seem to offer some good options as well. Although the HyperX Cloud is not surround, but explosions doesn’t feel grainy or distorted. It has a nice impact without being too boomy. 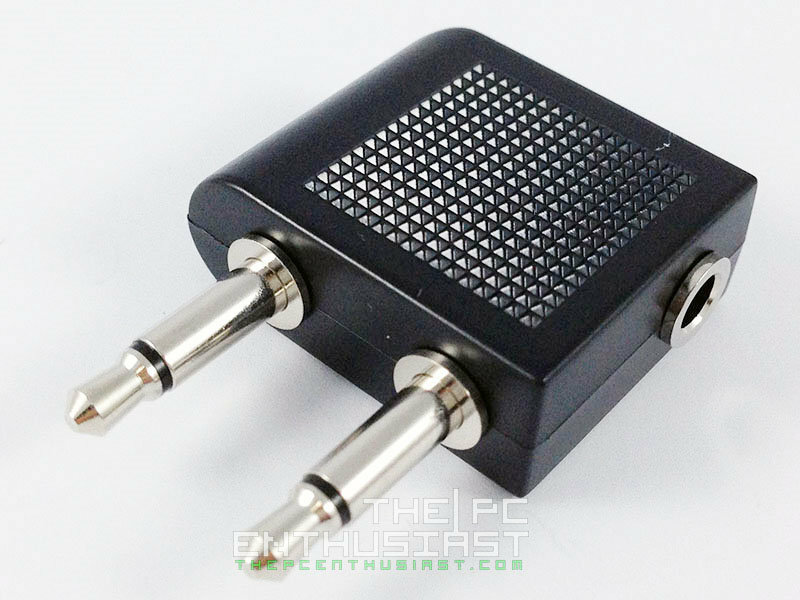 My budget is around $100, Plantronics is hardly compatible with PS4, Razor Kraken 7.1 ear cup’s hole is only 45 mm and i want something that can cover my ear perfectly. my friend is also selling is Astro A40 for cheap. 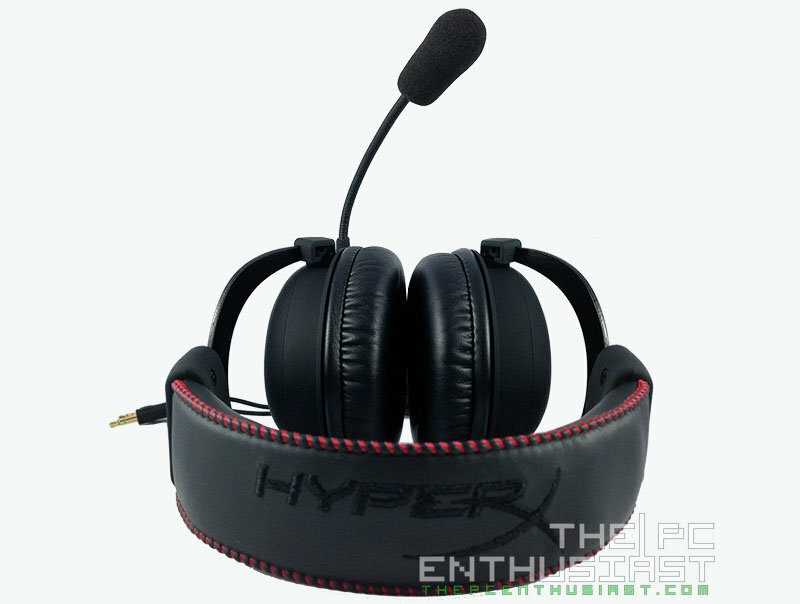 but again HyperX cloud is also very attractive headset. but again i’d prefer the Dolby sound. What you think about A40 ? Plantronics got the Universal RIG. But the speaker might be small for you. Astro is good but brand new is expensive. I don’t have first hand experience with Astro. I tried to reach them but no luck so far. So far all my headphones are geared towards audiophile.